And a picture post ~ click on any image for a larger view. 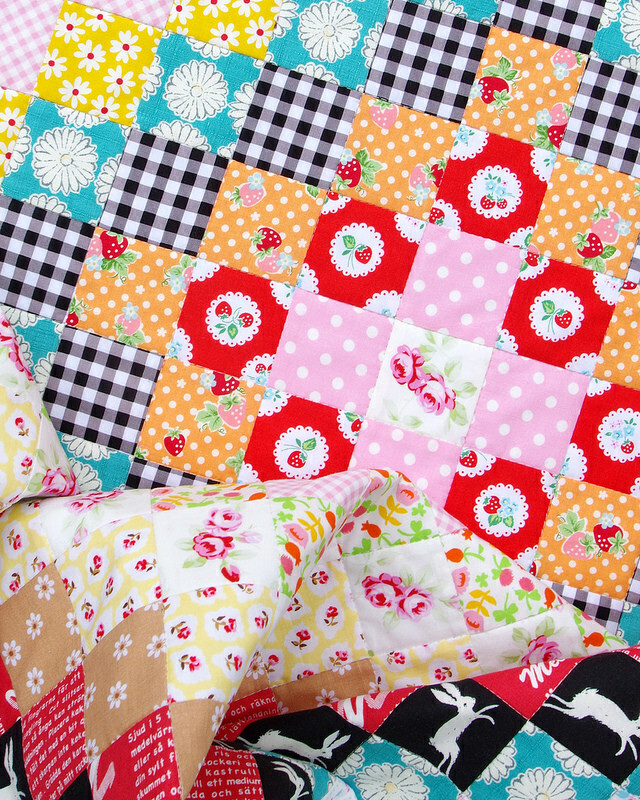 Today I have lots of photos to share of the finished Giant Granny Square Quilt. 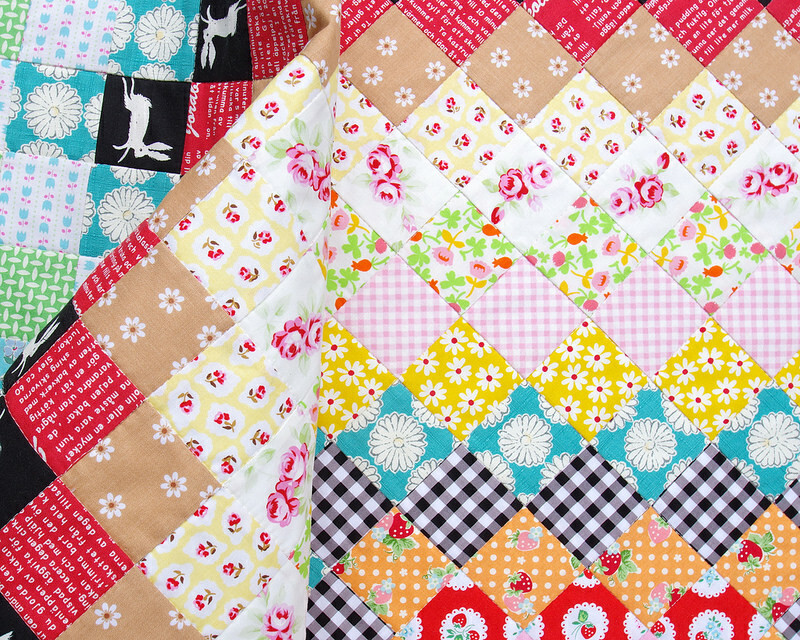 I have loved working on this quilt! 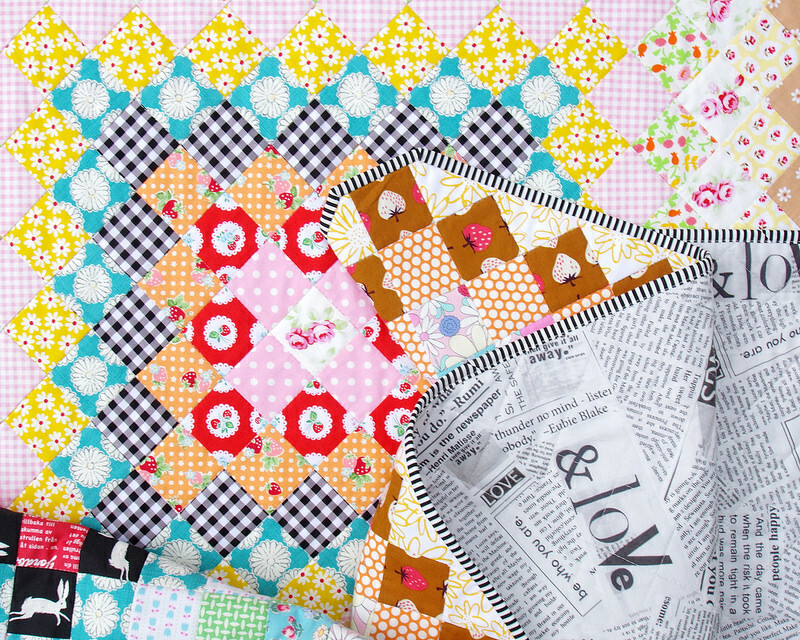 This quilt is all about the fabrics and choosing the right fabrics and placing those fabrics alongside one another is the kind of fabric play that I enjoy the most. 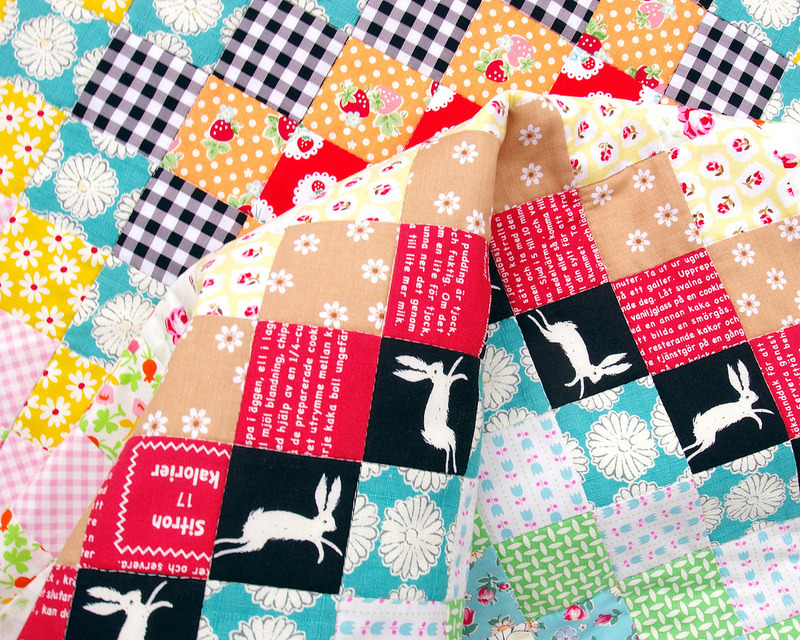 The bunnies hopping anti-clockwise around the quilt are a favorite! Although, if you look carefully you will note that one bunny is hopping out of sequence. This was not intentional. I had the opportunity to fix this "error" prior to basting the quilt top - in fact the quilt top was still in several pieces when I noticed it - however I chose to let it slide. 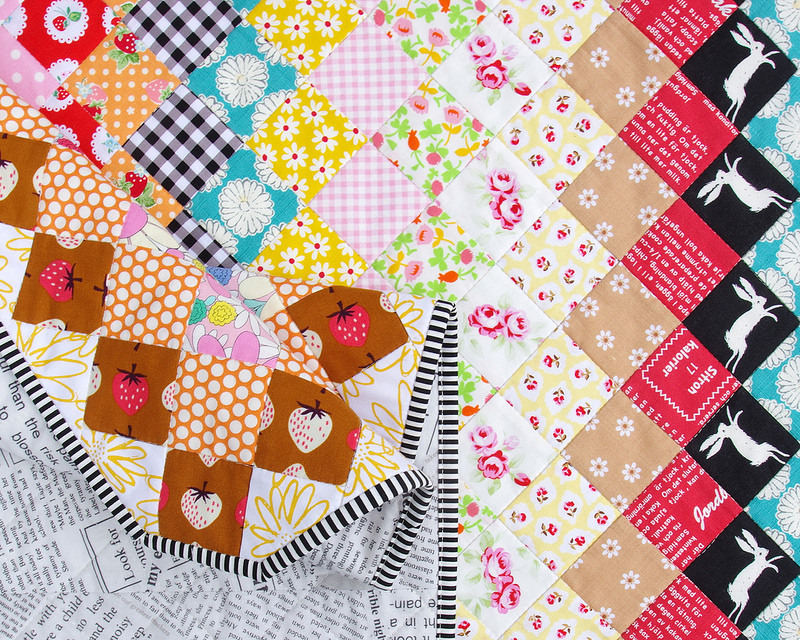 It's the kind of imperfection that adds interest, does not detract from the quilt, and acknowledges that it is ok to be be different, and to make mistakes. I have quilted the quilt by ditch stitching all the seam lines, creating a grid of intersecting lines 2 inches apart which gives the quilt texture without further adding detail to the design. 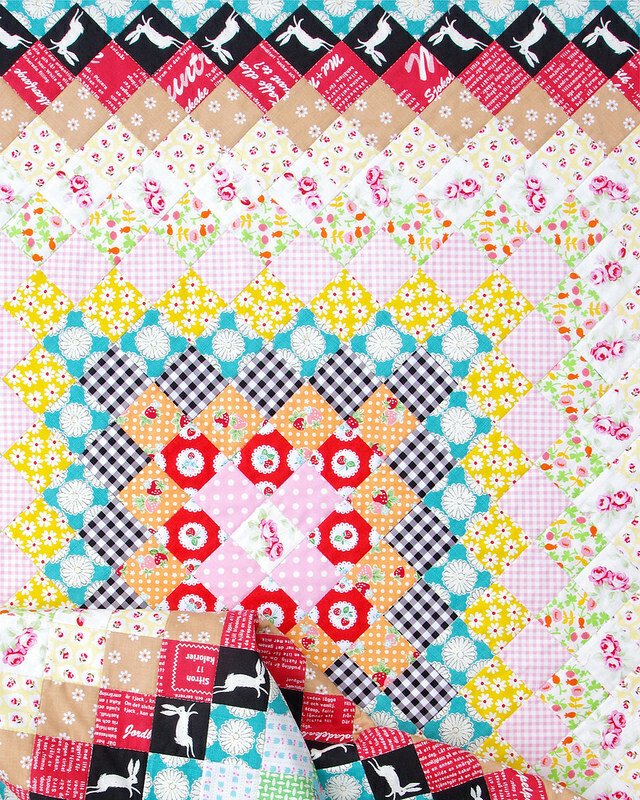 It is functional quilting rather than decorative. 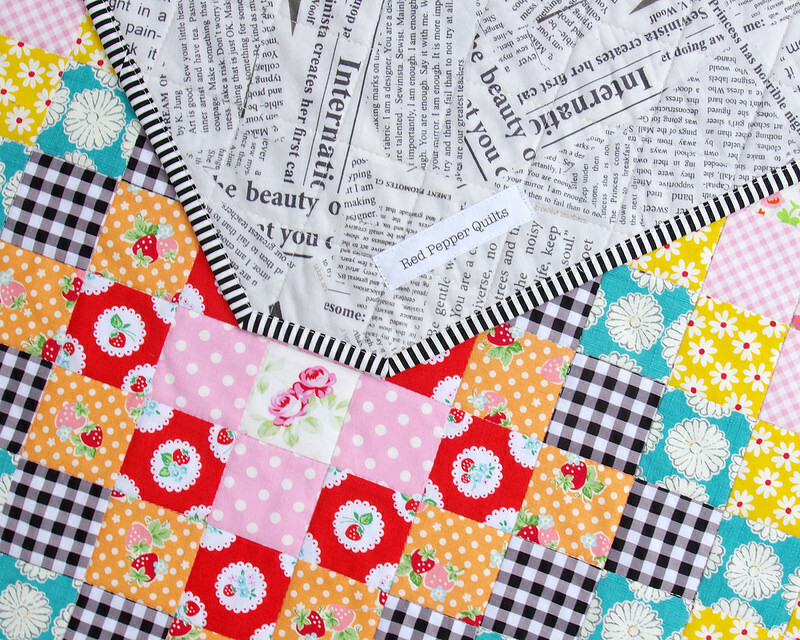 The corners of the quilt top were left "unfinished" which adds another point of interest. 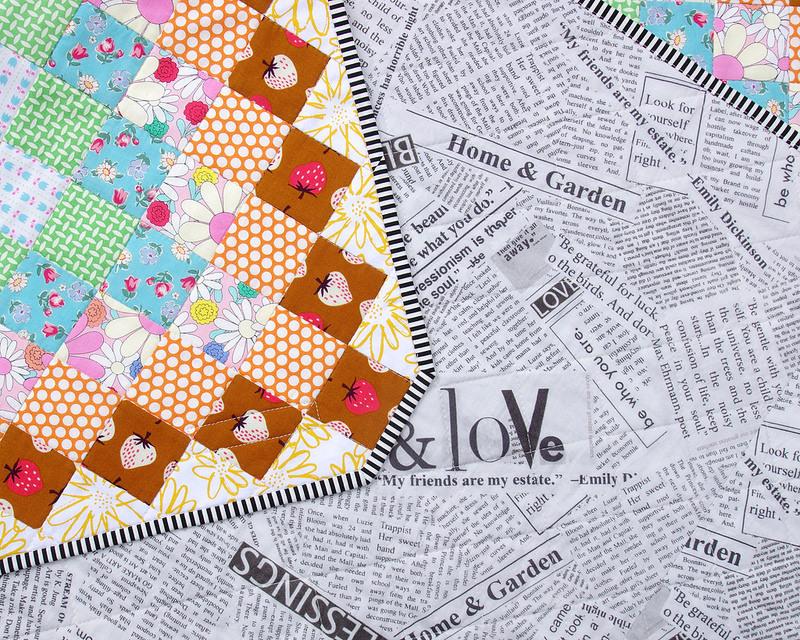 For the back of the quilt I have again used my favorite backing fabric (Newspaper from the Story Collection by Carrie Bloomston) which I thought was a perfect accompaniment to this otherwise colorful quilt. The finished quilt measures 60 inches x 60 inches. 841 squares each measuring 2" x 2" (finished). 1 center square plus 21 of rounds of squares, plus setting triangles. Details provided in Work in Progress blog post - here. Aurifil 50wt (orange spool) for piecing and quilting. Warm & White batting from The Warm Company. 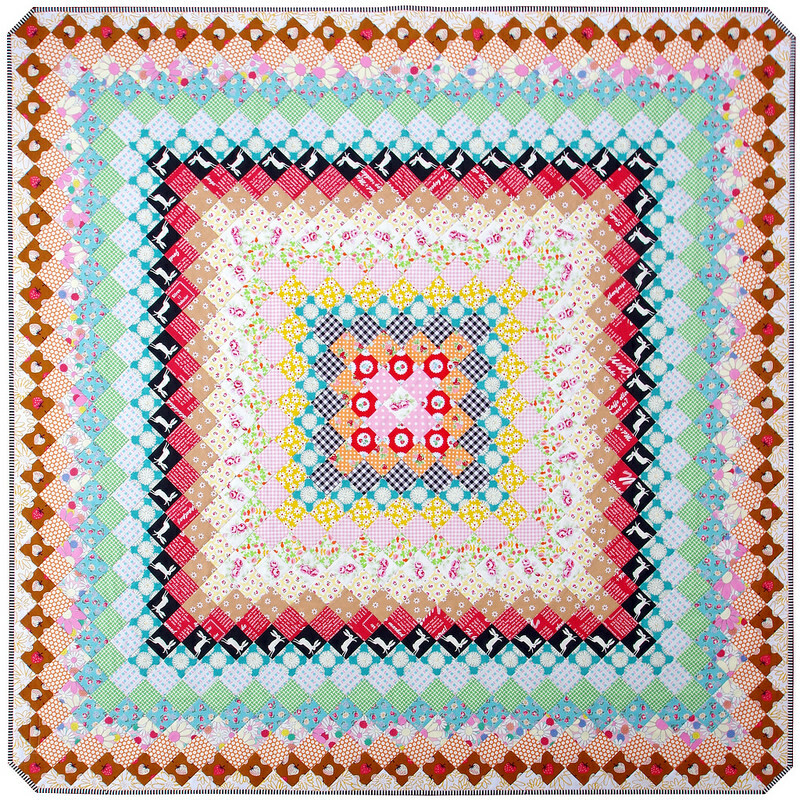 This quilt is available for purchase from my Etsy Store. What fun corners! 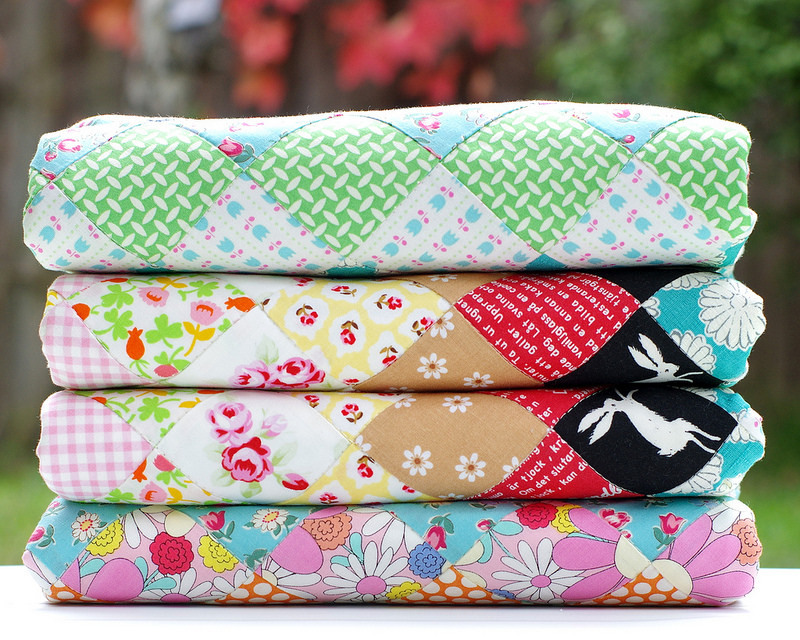 Did you include the bunnies in the the last granny square quilt? Cute as can be! 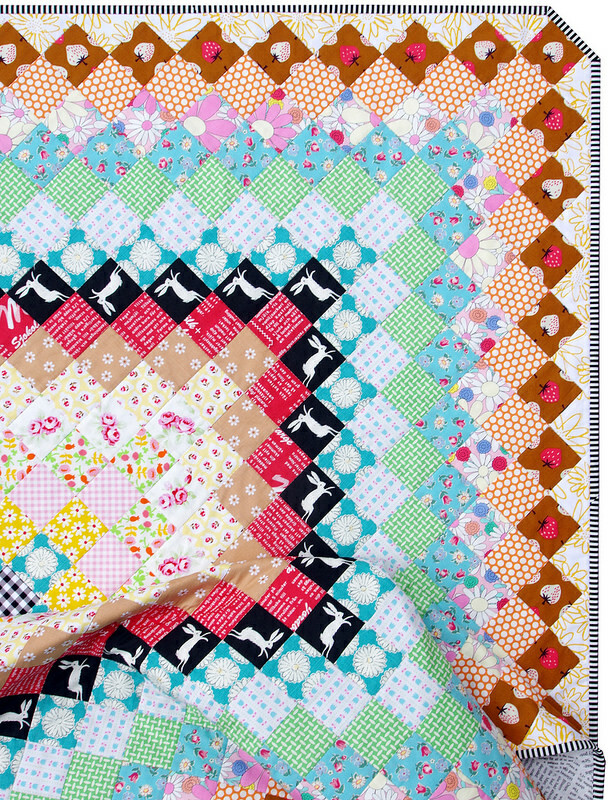 That is one seriously great quilt. Thanks for sharing Rita! I love this! I'd love to make one out of fussycuts too! Beautiful!! 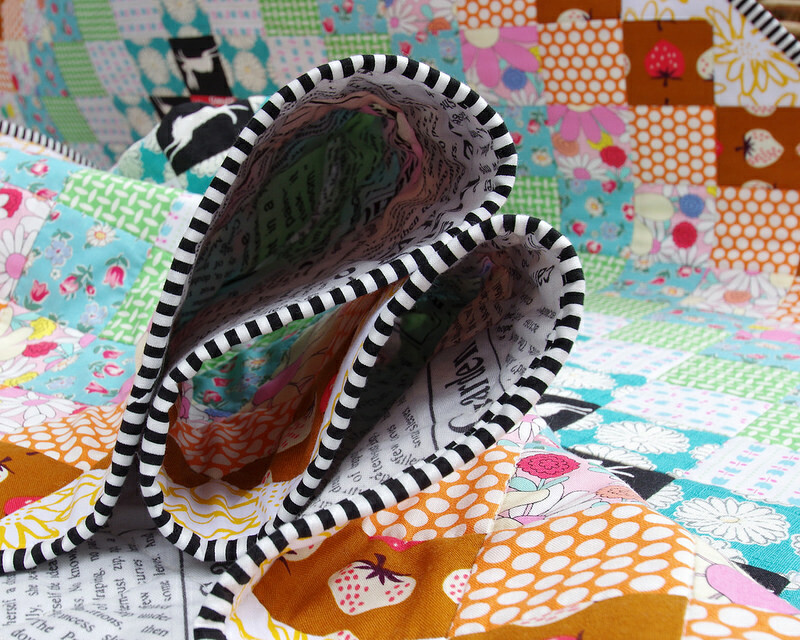 Love the fussy cut bunnies - what an extra special feature! 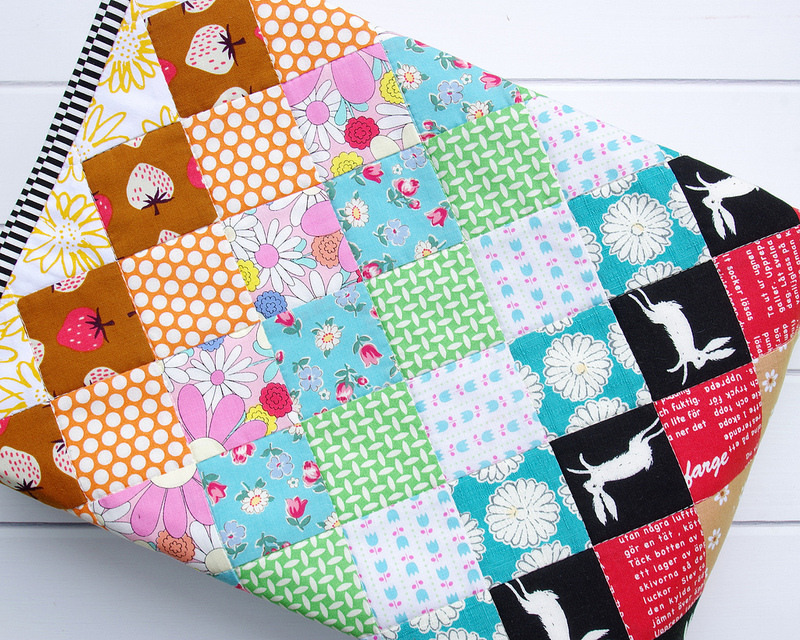 Love this backing too - and the squared corners! Good for you leaving that little boo-boo in your quilt. Let's out the evil spirits, don't you know? I would never have noticed it if a commenter on a previous post hadn't pointed it out. 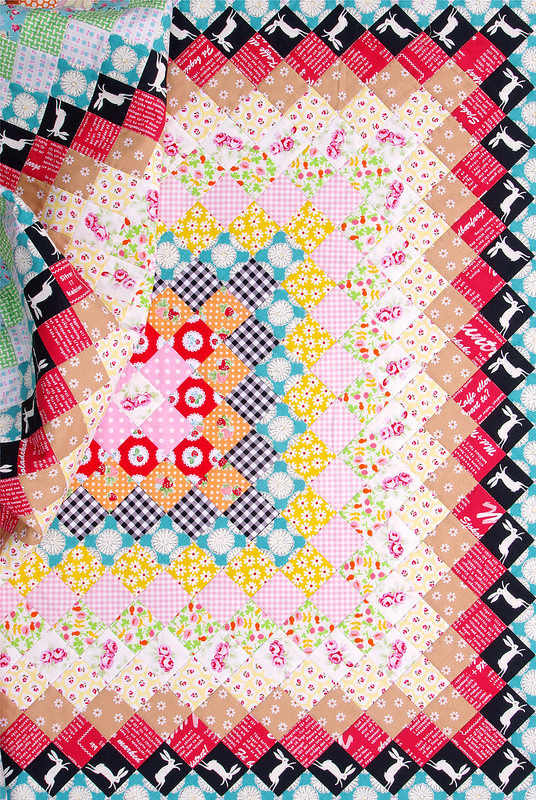 The quilt is adorable. This wonderful, Rita!! I finally found that bunny, but it took me a few go-rounds! 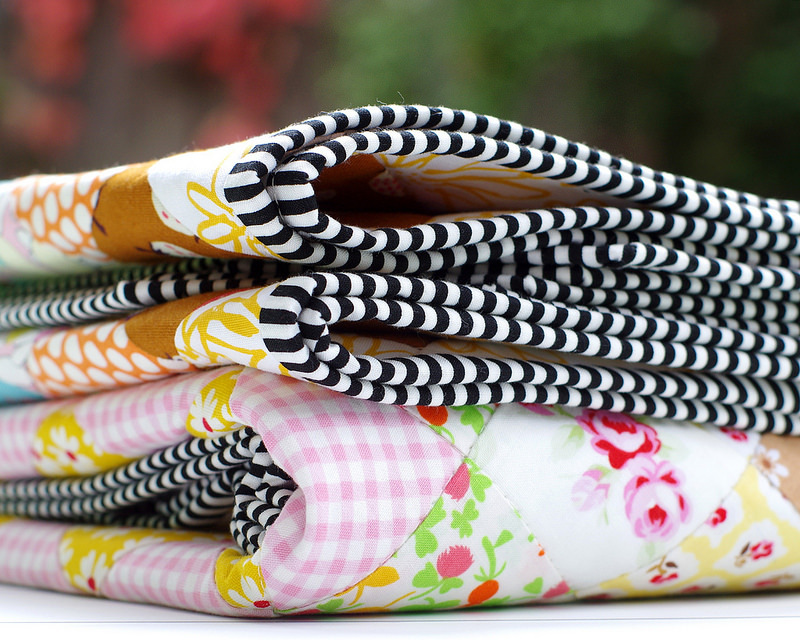 I just love your choices of fabrics, and perfect splash of ginghams!!! Congratulations on the finish! woot! This is such a nice quilt, Rita. I love the colors. What a treasure!